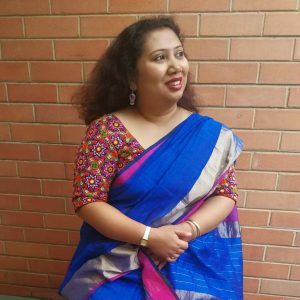 Hello, Welcome to Foodie’s Hut, a Melbourne based recipe blog chronicles traditional Bengali recipes and tried and tested recipes with everyday local ingredients around the world cuisine! Back in 14th April 2012, we started Foodie’s Hut as a YouTube channel, a creative engagement, not only to overcome the loneliness of expat life but also to connect with other people over the internet and showcase Bengali recipes and Indian recipes. We started this project without any financial objective. 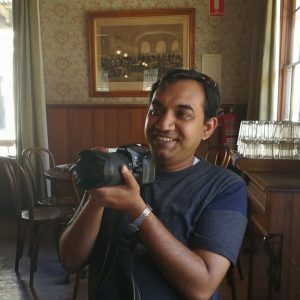 Currently, I have started sharing my daily food stories on Instagram, and on that process, I am also reading many food stories, virtually meeting with fellow creators, learning new recipes, cooking techniques, which I would love to share with you! I hope you will spend some time here and share your thoughts before you go. I would love to see you here again and again! I am Biswajit, the person behind the camera, the photographer, the video editor and designer. I am passionate about capturing good memories through my camera. Through Foodie’s Hut we tried to capture our foodie journey. We love to recreate our very own traditional recipes in our day to day life, their application in modern cooking.